Lot Size: 361.67 sq. m. n/a "Dimensions: 13.61x26.81x13.60x26.37"
Affordable luxury awaits you. Perfect for a family desiring beach living in an exclusive resort setting. This Luna Blanca single family 3 bed, 3 1/2 bath Villa has marble floors and a huge kitchen. 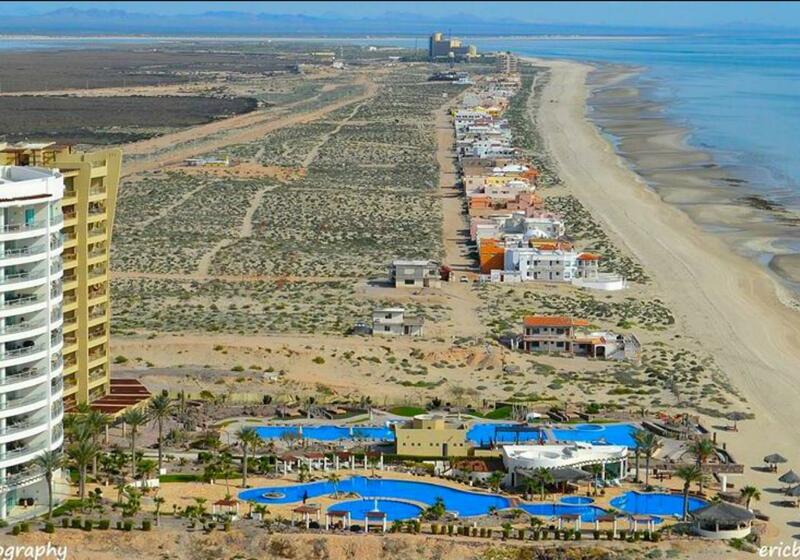 It is located on Playa Miramar with direct access to the Sea of Cortez and the many amenities of the resort. This single family home has 3,000 square feet of inside space plus over 1,500 square feet of finished rooftop enjoyment. Also, enjoy the covered patio off of the great room and a 2nd floor terrace that connects 2 bedrooms. It includes your own private courtyard jetted pool & a 2 car garage. Owner has installed solar panels. Luna Blanca is renowned for its amenities like, 3 huge pools, 2 spas, fitness room, BBQ grills. Ownership includes privileges at the Grand Mayan and Vidanta Golf Course.